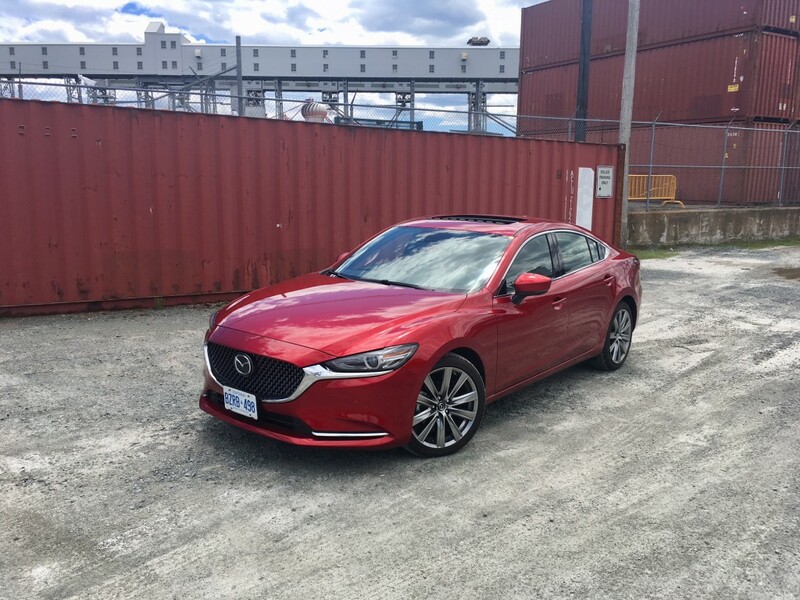 That was in 2016 and I was of course referring to the Mazda6’s relatively poor showing in sales. The Toyota Camry and Honda Accord are consumers’ choice of vehicle within the segment. And there isn’t necessarily anything wrong with that, both are well deserving of the sales numbers in their own right. 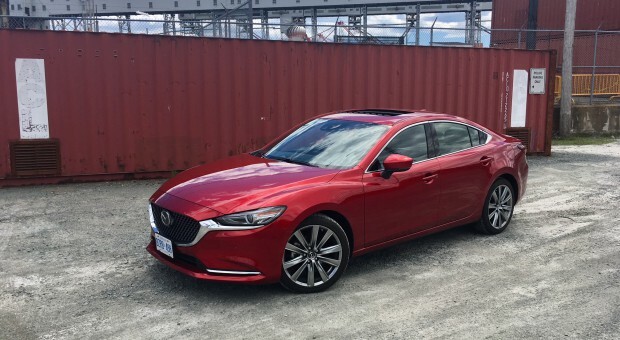 But the 6 always exuded character, not least of which was because of its thoughtfully engaging ride blended with eye-catching styling and good fuel consumption numbers to boot. Still, consumers overlooked it more often than not. Now the entire segment is in decline with more and more perspective buyers opting for SUVs and CUVs over mid-size sedans. 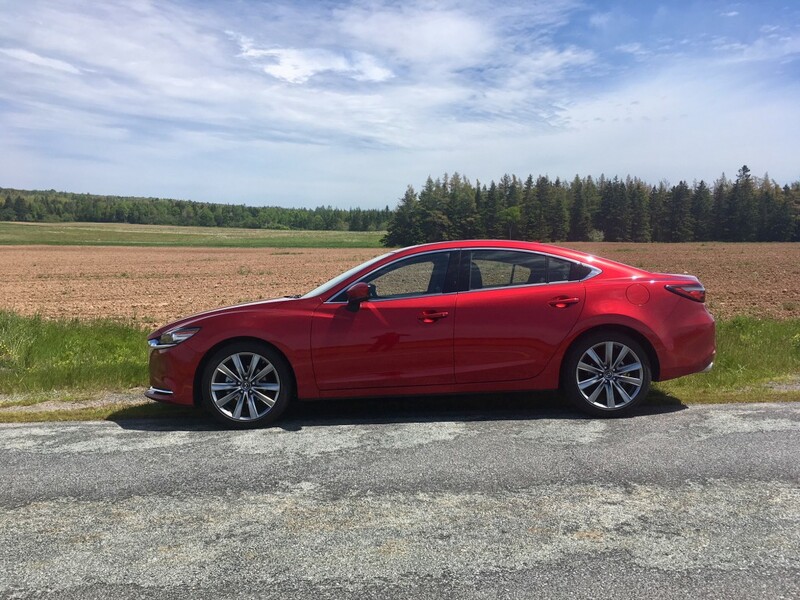 All that hasn’t stopped Mazda from continuing to perfect its product though, and for 2018 the Mazda6 gets a significant update. You’d be forgiven if you couldn’t immediately tell though, as the 6 generally keeps the same shape and proportions. But look closely and you’ll see an all-new grille with reworked chrome accents and front bumper. Gone are fog lights in favour of high end trim pieces. The headlights are all-new as well with LEDs being standard no matter which trim you choose. Ditto for the rear lights where it’s all LED everything. 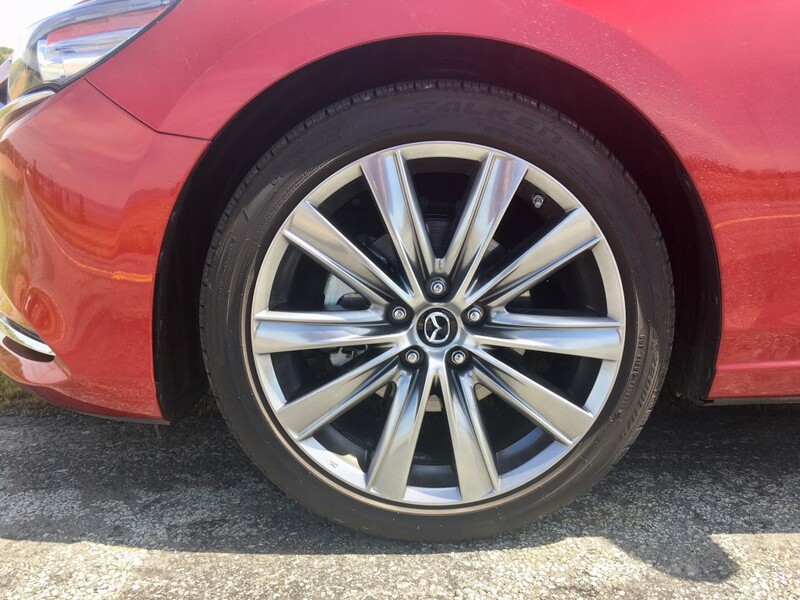 My signature model included 19-inch rims which look like a nod to the rims found on the old Mazdaspeed models. That is certainly not a bad thing – they look gorgeous, and picture certainly don’t do them justice, nor to they do the Soul Crystal red paint which glistens in the sun perfectly. My signature trim tester, which is the highest trim available, injected a good dose of class and luxury to the reworked interior. 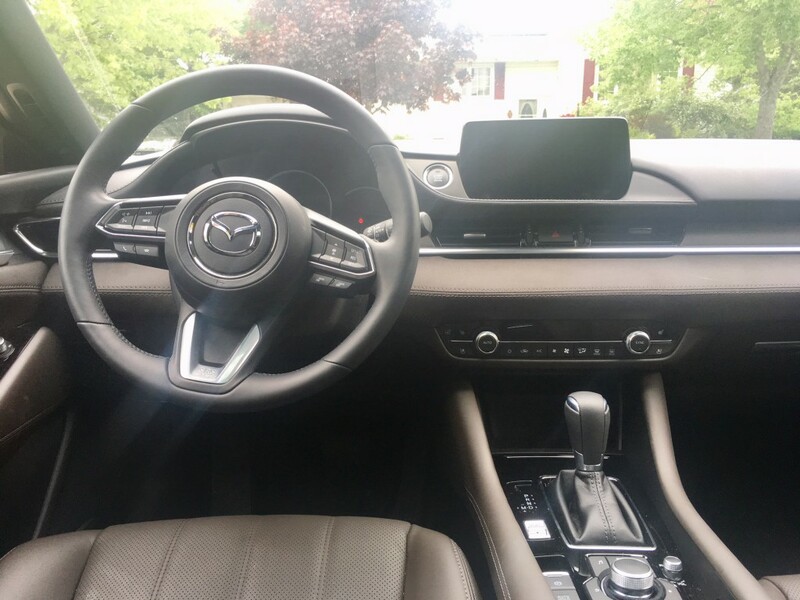 Here you’ll find a mix of premium materials such as real wood trim and suede inserts along with brushed aluminum and piano black trim pieces. The look and feels certainly rivals the best to come out of brands like Acura and Lexus. Everything is logically laid out and easy to use – that is, except for the infotainment system. This convoluted system is in desperate need of an update. The screen itself is too small, its responsiveness is spotty at best and often simple tasks, such as changing the radio station, is a multiple step process. It’s operated either by the dial located between the seats or as a touch screen. Except you can’t operate it as a such screen while in motion. Why even give the option of you can’t use one of the options most of the time? On top of that, Apple CarPlay and Android Auto are not available. 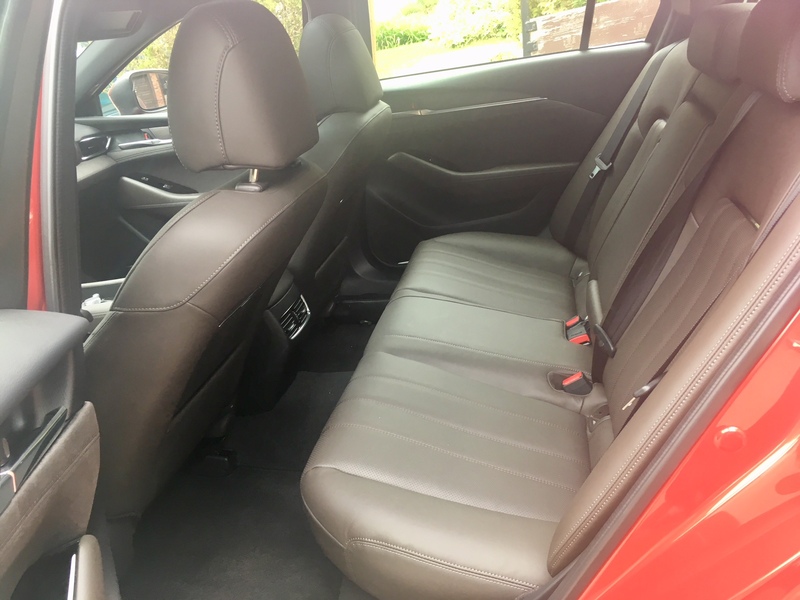 Luckily seat comfort is where it should be and that includes that rear seats which offer good foot and leg room, as well as head room though you’ll want to watch your head getting in and out. Cargo room comes in at a respectable 414 litres. You get your choice of two engines, or rather, the same engine with different power figures; a 2.5 litre four cylinder that’s either naturally aspirated or turbocharged. The former makes due with 186 horsepower and 184 pound feet of torque. The turbocharged version will net you 227 horses and 310 pound feet of torque. Both are mated to a six-speed automatic only (sigh, another manual transmission bites the dust). The automatic is good, though I wish shifts were done just a bit quicker. My tester featured the turbocharged option. 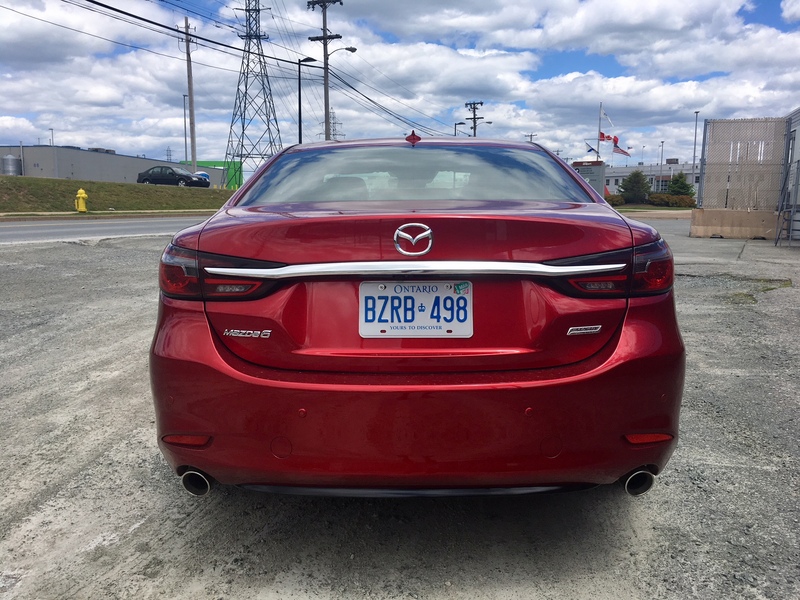 This engine emits an odd sound both at idle and when you put your right foot down – almost reminiscent of a diesel with some mild clatter here and there. It gives the impression of a lack of refinement initially, but then it starts to sound like a brut-ish 5-cylinder after a while. It’s a bit off-putting but you do get used to it. A lot of people spend hundreds of dollars tuning their vehicles to increase power. 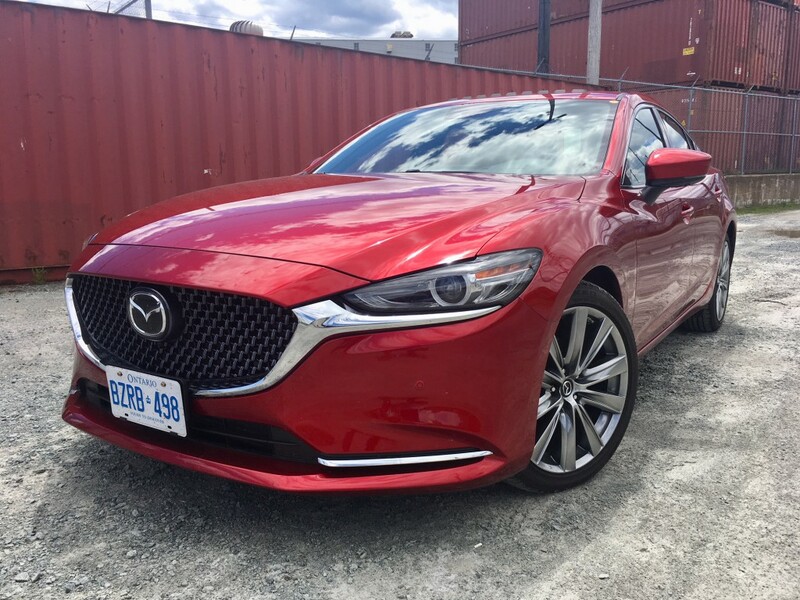 But with the turbocharged option in the 6, all you need to go to get more power is to use higher octane gas (93 or higher) and you’ll get yourself an extra 23 horses. Not bad, and perhaps well worth is since the new 6 seems to run out of steam around 5,000 RPM. While passing power is still there, it’s just not there in abundance. The real power is down in the lower end thanks to all that torque, making the 6 a pleasure to scoot around in while in town or in the city and it makes getting to 100 from a standstill borderline thrilling. On the highway, aside from the lack of gusto when passing, the 6 feels quiet, composed and comfortable. 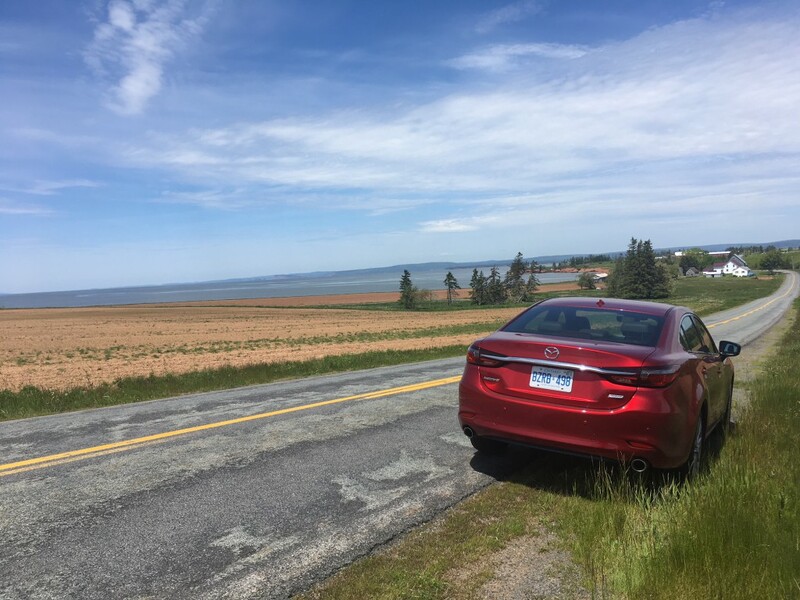 Added safety systems such as a head up display, blindspot monitoring and adaptive cruise control (along with those strong LED headlights) helped make our trip from Dartmouth to New Glasgow a care-free experience at 4 in the morning. And while cursing along, that odd sounding engine effectively shuts itself up. 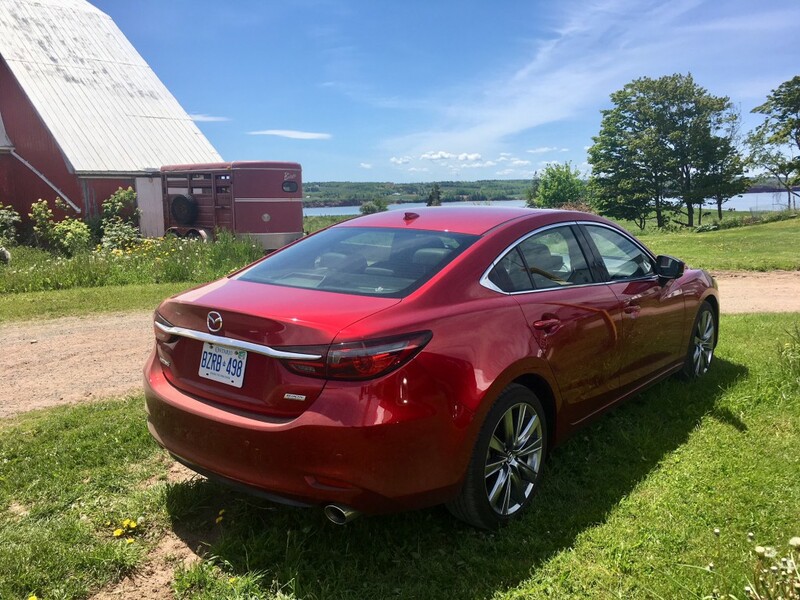 I can’t remember the last time I drove a vehicle that felt like there was virtually no engine noise intruding to the cabin – it’s almost Buick-like. And the engine stays quiet until it comes time to pass a slower vehicle. While I would personally prefer a bit more feedback, steering feel is among the best in class while body roll is kept to a minimum. This 6 is still one of the most engaging vehicles to drive in its segment and all you need to do is throw it into a corner to know why. The driver and car often feel quite connected in the corners. It isn’t until you get foolish when the 6 breaks loose and understeer comes into play. Overall though, handling is just as sharp as ever in this vehicle. Around town, the 6 is relatively easy to use though the swoopy body lines do impede slightly on outward visibility. There’s a back up camera with 360 degree around view to help you parallel park or back into a space, but I should note that my particular tester had a camera malfunction two days before I was meant to hand the keys back. As a result there was a large blue screen over half of the 360 degree view camera. Fuel consumption figures vary depending on which engine you choose. If you opt for the natural aspirated version, official numbers come in at 9.1 L/100 kms city and 6.7 highway. For the turbocharged engine, official figures are 10.0 in the city and 7.5 on the highway. After a week of mixed driving, I was able to return a respectable 9.2 L/100 kms. And the 6 itself continues to be a respectable sedan in a world that has largely abandoned it in favour of SUVs. It’s quiet when it needs to be, comfortable when it needs to be and good on gas when it needs to be, but it can still provide the driver with some added fun upon request. It looks fantastic and offers plenty of room. My guess is you probably still won’t buy it, but at least that can be said for plenty of its competition. But for those still interested in the old fashioned way of hauling families, the 6 remains just as competent a choice as ever.